Shopping credit cards, also known as catalog credit cards, are created for those who prefer shopping online to in-store shopping. These credit cards are good for consumers with poor or bad credit history. 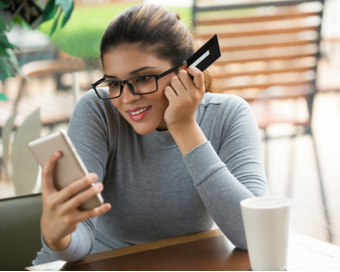 Despite the fact that these credit cards can only be used to purchase merchandise at a particular merchant, they still give you the opportunity to build or rebuild your credit history. Your credit activity will be reported to one or three major credit bureaus. Most shopping credit cards offer guaranteed approval, no credit or employment check, unsecured credit line, and some other benefits. Consider the offers below to find the best card for easy shopping. Get up to $1,000 Credit Line with Guaranteed Approval*! Designed for people with Bad or No Credit. Our Online Store Features Products from All the Major Name Brands You Love and Trust! No application denied for bad credit! Today many people purchase merchandise within online catalogs or websites because they can find everything they need at one place without even leaving the sofa. Some of them prefer one particular merchant and others shop at various merchants searching for the lowest possible price. Especially for such consumers there are shopping credit cards or catalog credit cards with different perks like discounts, benefits, specialties, and rewards. Amid benefits you will see such features as no credit check, large credit line, reporting to the credit bureaus, and some other. All in all shopping credit cards are like general credit cards but there is one important difference. The shopping credit cards can be used exclusively at one particular online catalog or its partners. You can't pay with this card at the restaurants or book a hotel room. Consider catalog cards as a convenient way to pay for your purchases while you are building up your credit history. But convenient doesn't often mean easy. Because catalog cards may have higher-than-average interest rates accompanied with high fees, and this is without taking into account shipping costs. So get aware of possible costs - read carefully terms and conditions before you apply for a card. Can I use a store card outside the store? Is there a credit card that can give me rewards for shopping? Can I build credit with a shopping credit card?